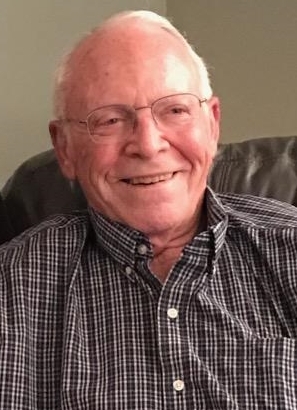 Charles “Chuck” D. Rowntree, 83, passed away at Angels Grace Hospice on Saturday, November 24, 2018. Surrounded by family, he was called to his heavenly home to be with his Lord and Savior, Jesus Christ. Charles was born in Burlington, Wisconsin on September 15, 1935 to Donald F and Della D. (Hotz) Rowntree. He was a graduate of the Rochester Ag School in 1953. He served his country in the U.S. Army and Army Reserves from 1958-1964. After serving, Chuck pursued his passion as a farmer while living on the family farm on Rowntree Road until he retired in 2000. Chuck also served his community by working for the county of Racine for 10 years. On March 17th, 1962, Chuck married his beautiful bride and soulmate Carol. Together, they fostered many children in need before having three children of their own. Chuck and Carol also established C & C Homestead, a group home for the mentally handicapped, where they were able to change the lives of more than 20 mentally handicapped individuals over the course of 20 years. Chuck had a vibrant personality and would instantly light up a room with his infectious smile and joyous laugh. He was deeply loved by his friends and family. Surviving are his wife, Carol A. Rowntree and brother Jim Rowntree; Children, Tim Rowntree, Nancy Brannen, and Todd Rowntree; 8 grandchildren and 6 great-grandchildren. He was preceded in death by his parents and sister Jane. A celebration of Chuck’s life will take place on Wednesday November 28th, 2018 at the East Troy Bible Church (2660 North Street East Troy, WI 53120). Visitation will be from 10:00am to 10:50am followed by an 11:00am memorial service. A luncheon of Chuck’s favorite foods will be served after. Private Burial will take place at Rochester Cemetery. Memorials are suggested to East Troy Bible Church’s Missionary Fund.